Yes I understand the speculators betting it up - but I have yet to see any ex-planation of why it has any intrinsic value at all ! Gold has some scarcity value, “money” is issued by banks, but recent experience demonstrates that Governments will go to extraotdinary lengths to take money out of OUR pockets to “Cover up” the banks fraudulent activities. I can’t see “The Fed” bailing out bitcoin in the same way. What exactly has Bitcoin got to offer ? What exactly has B++++++itcoin got to offer? No one can know what the future of Bitcoin or Cryptocurrencies will be. As a speculator this market is just getting started, My small investment has returned 10 times just this year, and with my original investment pulled out I can sit back and enjoy the ride risk-free. However who “Spends” Bitcoin nowadays ? Anyone who really has some will either just be hoarding it and watching the price rise or will have sold it months ago for the cash. The points you mention are now all superceded by the fact it has become a bubble and has no real value any more. You yourself keep saying you have had your money back out now, so you are “Risk free” - so it seems you do recognise the underlying impossibility of the price maintaining it’s rise. It’s a shame because I like the principle of Bitcoin, but I suppose it is better for the “Powers that be” that it should evaporate in a meteoric rise and bust, destroying confidence in all similar items, than to make it illegal and push it underground. So are you saying that you Own a small piece of a bitcoin then ? - How would you collect it ? No - when you are trading bitcoin, are you actually saying that you own a small piece of a bitcoin, which you can go and collect from somewhere ? I use CoinBase exchange, they hold my bitcoin in an account in my name, it is no different than a brokerage holding stock in your name. Price Action cares nothing about your opinion on bubbles or pyramid schemes, the price will go up as long as there is more demand than supply. I think the price will continue to go up as long as there is FRESH Money that people are willing to exchange for - Well - exactly what ? This is always the problem with bubbles and pyramid sales - They’re fien as long as you can find a “Bigger sucker” to buy your shares off you - but eventually someone says " The Emperor is naked ! " All things staying the same, meaning no big news, I think we’ll have to wait for 2018. Now if the Koreans band together, who knows.where BTC could go. They pushed Bitcoin Cash trading volumes like 5x the other week, above Bitcoin trading volumes, and then disappeared. Happens every couple months. And always on a Saturday morning (in Korea). is there any real liquidity in it ? This is the crux of the matter. If you want a real answer to this then I suggest trading real bitcoin with a real bitcoin wallet. What I mean by this is not a wallet with a company or exchange like coinbase, but rather a personal wallet such as electrum or one on your mobile phone. Then buy bitcoin through any exchange and transfer this to your wallet. It is the digital equivalent of taking your cash out the ATM. See how long this takes. Experimentally one could buy €10 or $10 of real BTC. During busy periods especially when bitcoin is falling, you might be unfortunate enough to experience what is termed “congestion”. This is when an unusually large number of transactions are all taking place at the same time. I trade real world money and bitcoin for a side project through the Localbitcoin website. When the last mild congestion happened a week ago, I had to wait just under 24 hours for one transaction to process, in the real world, I had to wait 24 hours to send bitcoin from one wallet to another to clear funds. While this was happening the bitcoin was falling. Some others had to wait nearly 2 days! Now, Imagine you are managing a large bitcoin exchange, exchanging tens of millions of Euros every day and clearing them immediately for your customers. Now, imagine a situation where the bitcoin is falling and everyone starts selling all at the same time causing a “congestion” issue. Imagine you now have 48 hours of bitcoin that you are waiting to sell, but a large amount of your customers have already sold their bitcoin in your exchange and have issued a withdrawal. Your exchange coould be losing out on millions each day due to this congestion in clearing. Imagine a situation where news gets leaked that the exchanges are having a multi million Euro / Dollar / Yuan liquidity crises caused by congestion , now everyone starts panic selling their bitcoin and trying to simultaneously withdraw real cash. 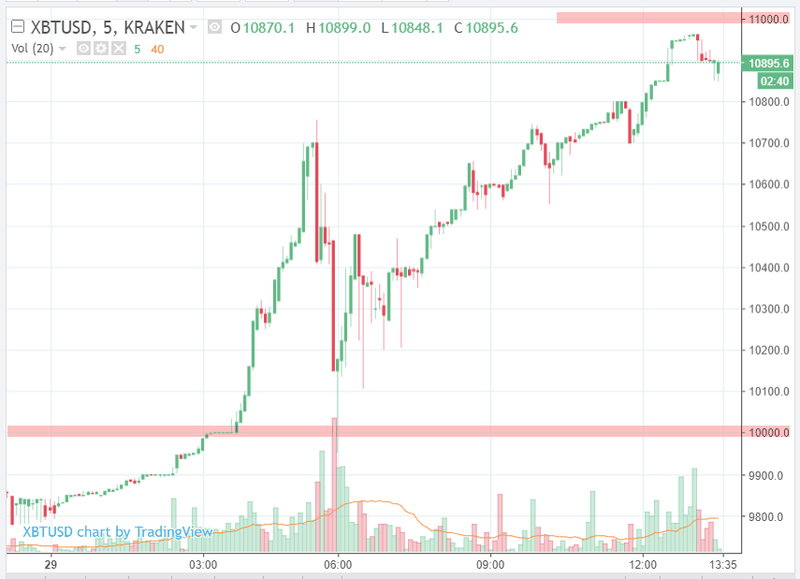 I can extrapolate that the situation can spiral out of control as the network traffic continues to climb while prices fall as people panic because the programming of bitcoin is hardwired in such a way as to slow down as the traffic increases. In fact this has been sighted as one of the original plans and designs… to keep a lid on run away prices. I’m not saying bitcoin prices will fall now, however I am raising a possible issue as to what could cause the end of the meteoric rise of bitcoin. It has to do with the fundamental structure of bitcoin and this is the reason for all the fork attempts of the programmers. Be careful out there people, I believe when the bitcoin falls we will witness a large amount of companies collapsing due to the congestion problem. So the answer to the question of liquidity in bitcoin, the answer is yes, when things are ideal and, No, not at all when things are bad. Nice jump on Ethereum, Bitcoin may reach the 10,000 dollar mark before the end of the year. Bitcoin may reach the 10,000 dollar mark before the end of the year. …or before the end of the month. 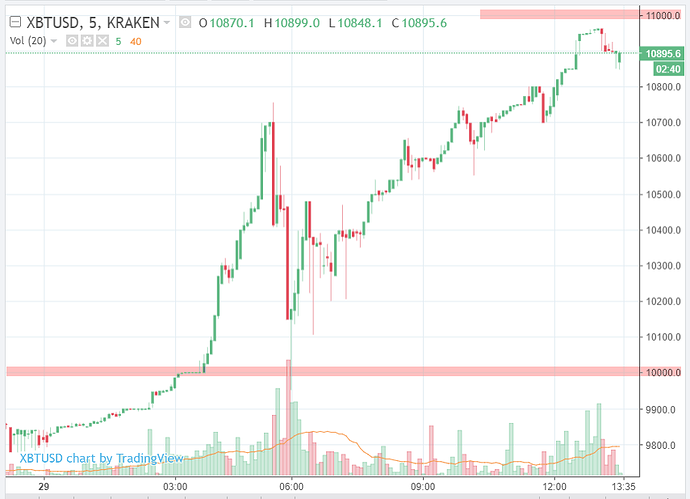 Agree on bitcoin may cross 10k dollar soon, I think within few days it will reach the high.